There were a few important reports on the U.S. economy released this morning. 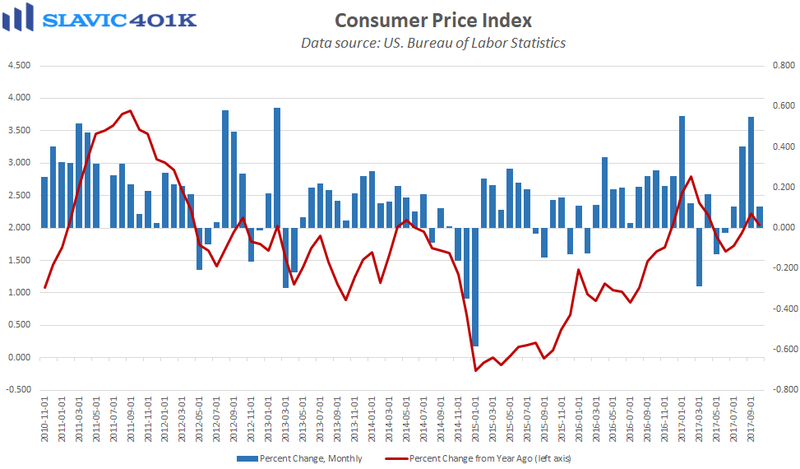 First, data from the Bureau of Labor Statistics (BLS) showed that household inflation pressures firmed in October, as the consumer price index (CPI) for all urban consumers rose by 0.1 percent. 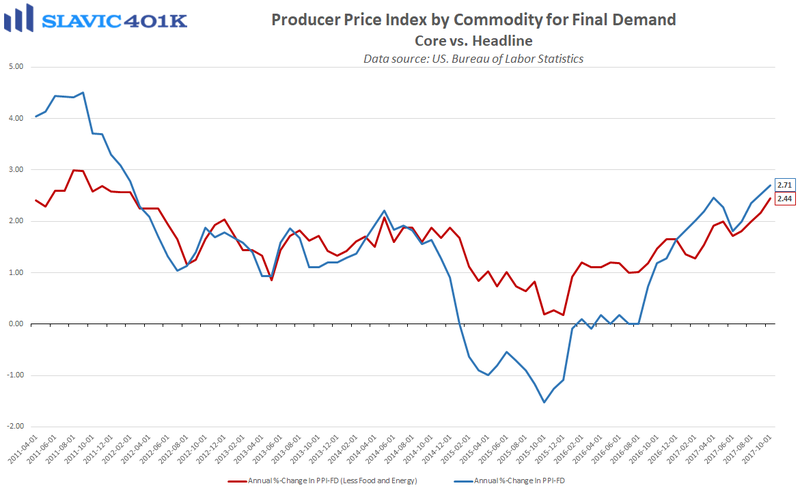 That was in line with expectations despite a sharp 1 percent drop in energy prices. 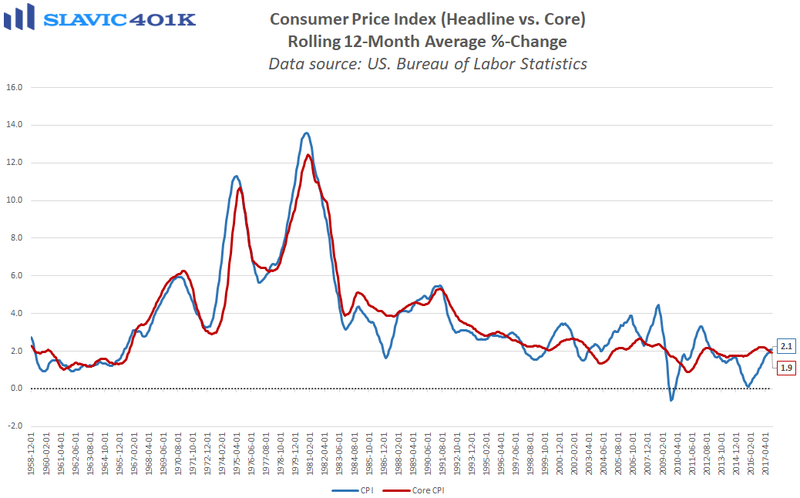 Core CPI, which excludes food and energy prices, rose by 0.2 percent last month, enough to cause the first uptick in annual growth since January. Upward price pressures were broad based last month, including large gains in the costs of housing, medical care, education, air fare, auto insurance, wireless-phone services, and hotel lodging. 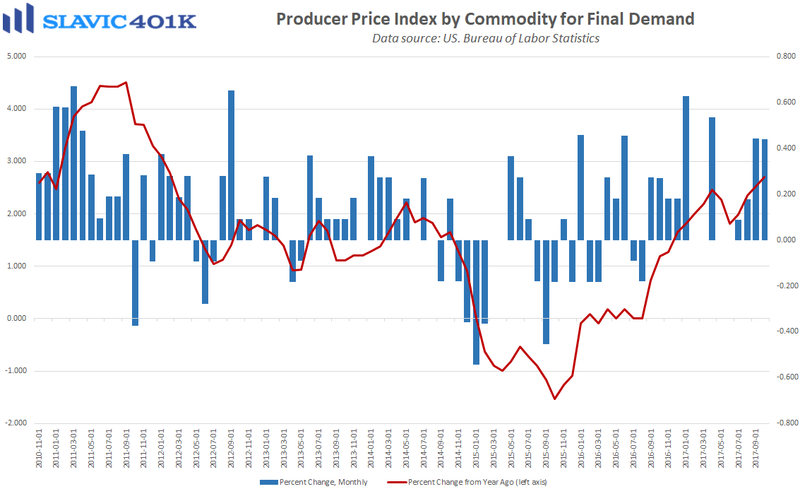 Wholesale inflation pressures, as measured by the producer price index for final demand (PPI-FD), also firmed in October, which together with the CPI data will make it easier for officials at the Federal Reserve (Fed) to justify another interest rate hike at next month’s Federal Open Market Committee (FOMC) meeting. 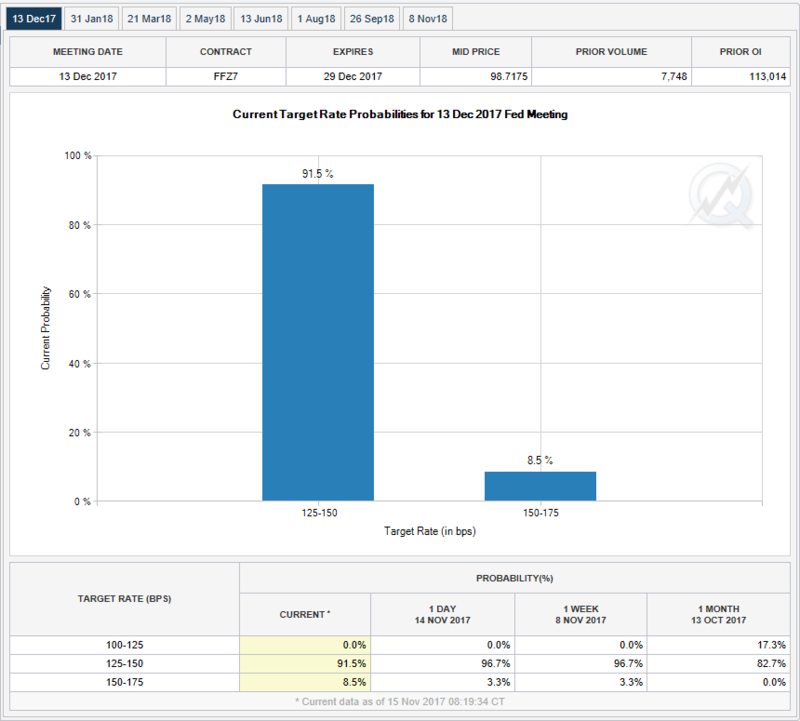 Moreover, current market pricing implies a 91.5 percent chance of a quarter point increase to the federal funds rate in December. 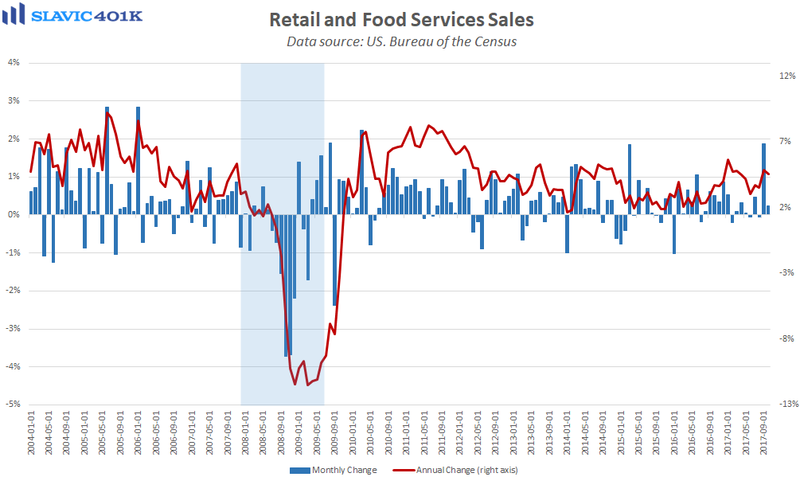 Next, a report from the U.S. Census Bureau showed that advance estimates of retail and food services sales in October totaled $486.6 billion. That was a 0.2 percent increase from September’s upward-revised print and slightly better than anticipated. 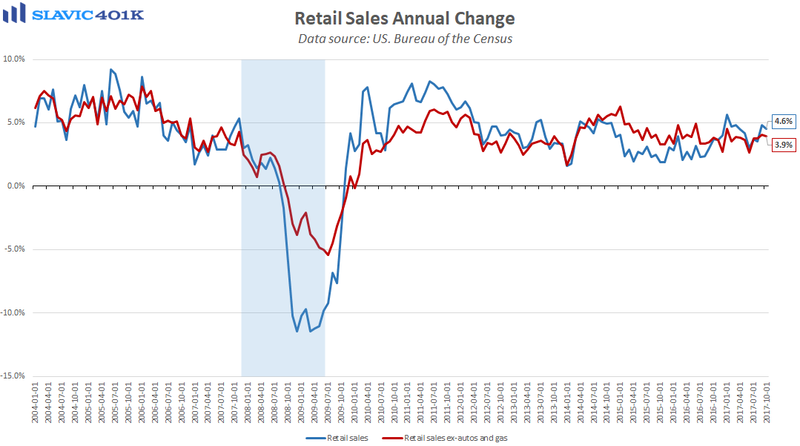 Core retail sales, which exclude the volatile automobiles and gasoline components, also rose in October (+0.3 percent), helped by large gains at furniture stores, electronics and appliances outlets, restaurants, clothing stores, and sporting goods merchants. Although this broader retail strength is encouraging, other economic reports out this month suggest that consumers are using credit and tapping into their savings to boost spending. Such behavior reflects elevated economic confidence but is not sustainable without a more substantial pick up in wage growth.